The Ecore Tools component provides a complete environment to create, edit and maintain [[Ecore]] models. This component eases handling of Ecore models with a Graphical Ecore Editor and bridges to other existing Ecore tools ([[Validation]], [[EMF_Search | Search]], [[EMF_Compare | Compare]], [[Emfatic | Emfatic]], generators...). 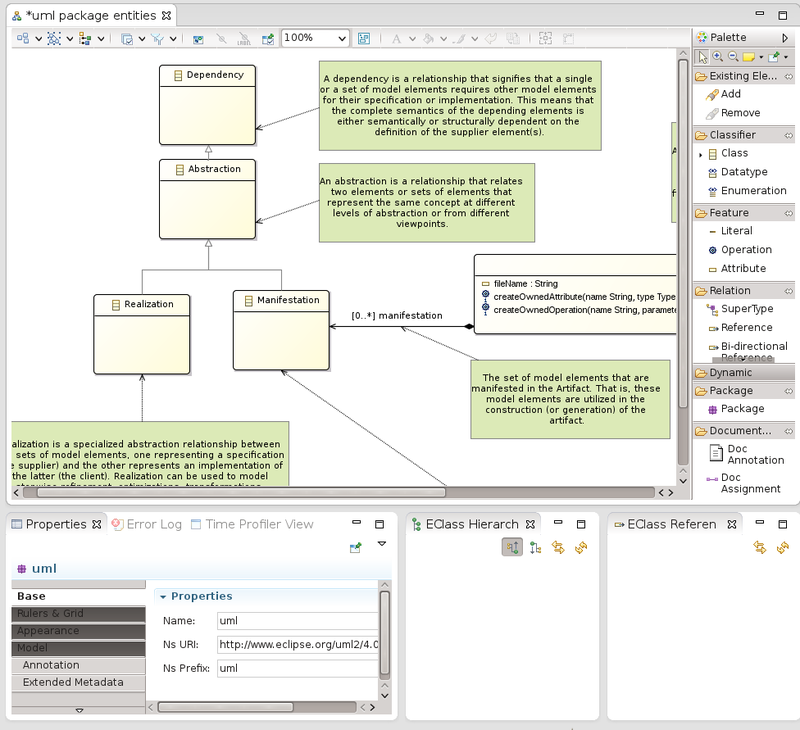 The Graphical Ecore Editor implements multi-diagram support, a custom tabbed properties view, validation feedbacks, refactoring capabilities... The long-term goal is to provide the same level of services as does [[JDT]] for [[Java]]. See [[Ecore_Tools/New_and_Noteworthy]] for a summary of its features and functionality. Use the EMFT Update Site. 212299 : Ecore Tools missing source features?